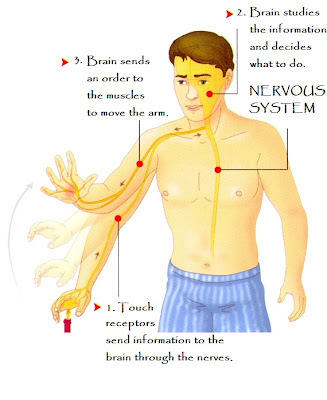 People and animals use sense organs, muscles, and the nervous system to respond to the environment. The most important part of the nervous system is the brain. 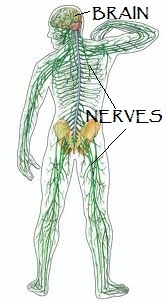 The sense organs send information to the brain through the nerves. The brain studies this information and decides what to do. 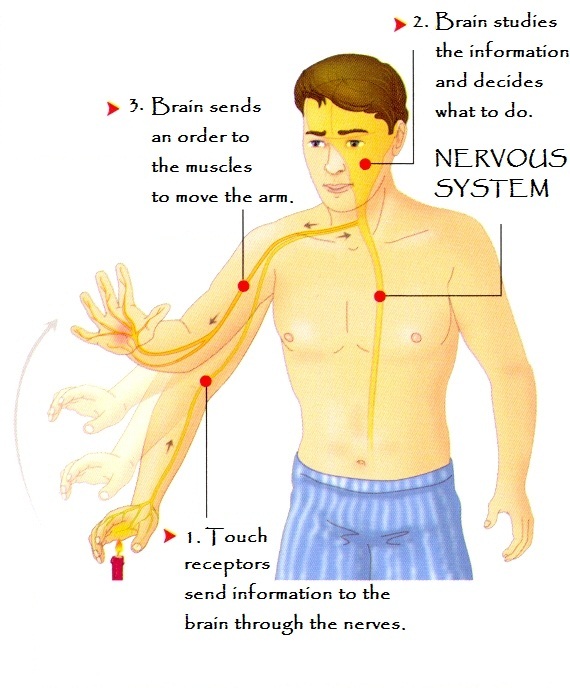 Then, the brain sends an order to the muscles.